John Sidney McCain, US Senator, Navy Captain, Republican presidential candidate in 2008, presidential primary candidate in 2000, political maverick and reformist, was laid to rest last Sunday at the US Naval Academy, Annapolis, Maryland, where in 1958 he began his military career. courage, a principled man with convictions who strove to do the right thing throughout his political and military career. Navy Pilot his Sky Hawk jet was shot down near Hanoi and he was severely injured during the Vietnam War. He became a hero when the North Vietnamese high command, realising he was the son of a US Navy Admiral, wanted to release him from the prisoner-of-war camp. He turned down the offer unless all his colleagues in the camp were granted the same treatment. He endured nearly six years of torture and solitary confinement. The torture he endured in the hands of the Vietcong was instrumental to his uncompromising rejection of torture and his move to punish CIA officials who indulged in it during the Iraq War. 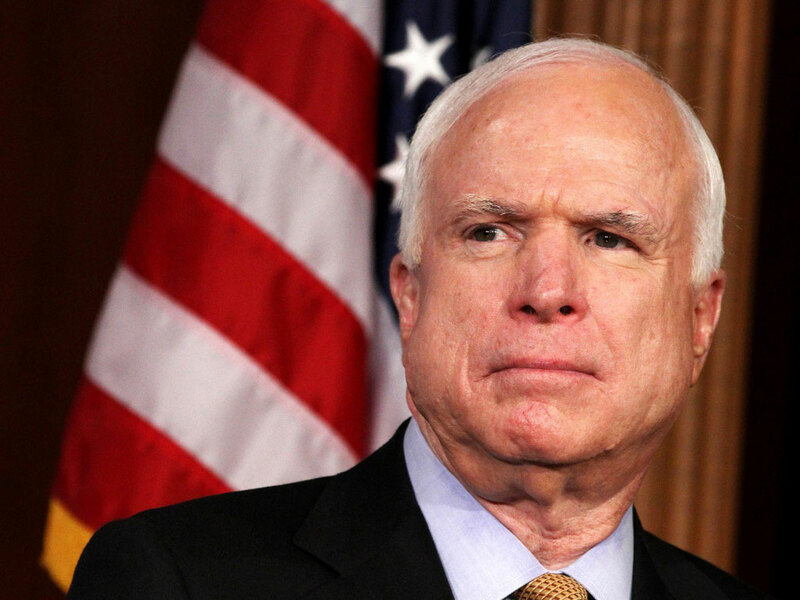 McCain believed that any information derived from torture is likely to be tainted. McCain was a symbol that politics can be played with honour, and among those who paid him the highest tributes were his two fiercest competitors – former President Barack Obama, his opponent in the 2008 presidential election, and former President George W. Bush who beat him during the Republican primaries of 2000. During the bitter slug with Obama in 2008, a Republic woman denigrated Obama but McCain defended him. that Obama was not born in the United States. was then an obsession of Donald Trump and the Republican Party to ensure the final burial of President Obama’s signature legacy. His vote sank the bill. He gave a cheerful and his usually humanistic rationale that until President Trump and the Republicans produce an alternative to Obamacare, the millions of Americans protected under that programme deserved protection. He was a hawk against Al Qaeda and the Islamic State which informed his willingness to support American arms sales to Nigeria even when the Obama administration was having second thoughts owing to accusations of human rights abuses against the Nigerian military. He had urged the Obama administration to move squarely against Bashar al-Assad of Syria at a time the Obama administration was loathe to get militarily involved in the Middle East after the grueling American experience in Iraq. lived and died a man of truth. May his tribe ever prosper and may Nigeria produce legislators who would emulate John McCain.